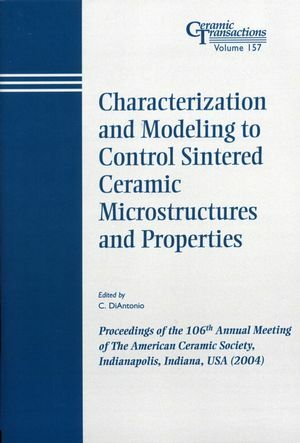 These proceedings are designed to provide a forum that integrates research in characterization and modeling to advance the science of ceramic/composite sintering. Densification, shape deformation, and microstructure evolution during sintering is addressed. Characterizing and Modeling Sintering (densification, shape deformation and microstructure). Characterizing Materials' Constitutive Behavior During Sintering. Engineering Ceramic Processes and Microstructures.